Local history . the Auberge was a safe house in the secondWW where the resistant fighters felt safe and were giver food befor going to the famous Plateau des Glieres. Let Sue and Roger be yout guide in this very special place. There is a supurb Restaurant on site"Restaurant Camelia"
Our Auberge Hotel is in the countryside with some beautiful views. 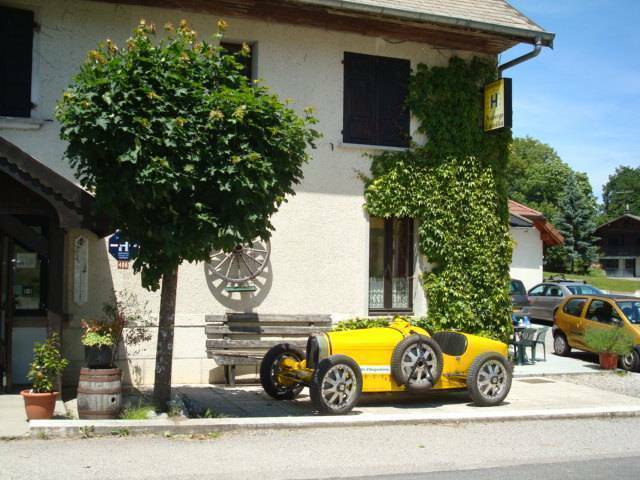 Very french restauant in the countrside. In Annecy old town charming. Fantastic views or Aravis mountains and good food.